Type 1 Diabetes is a chronic, autoimmune condition where the body is not able to create insulin. For reasons unknown, the body destroys the insulin-producing cells in the pancreas. When someone has Type 1 Diabetes, insulin is not available to let glucose into the cells. Insulin is the hormone the body needs to turn glucose (sugar) into energy. Think of insulin as the key that opens the cells to let in the glucose. It turns our food into energy by moving that sugar into the cells of our body. In the door analogy, this means that the door does not open so sugar builds up in the bloodstream, which is life threatening. Type 1 Diabetes used to often be referred to as “Juvenile Diabetes”, but that term is not entirely correct. Adults can also get Type 1 Diabetes. A person can get Type 1 Diabetes at any age. Most are still children, but the number of adults with Type 1 is also growing. The majority are children, and according to the IDF, now more than half a million children are documented with Type 1 Diabetes. It is not exactly understood what causes Type 1 Diabetes. However, a person with diabetes must manage and check their blood sugars several times a day. Type 1 Diabetes is not caused by anything a person did. It is not caused by anything a person or their parents ate. It is not contagious. There is no cure for Type 1 Diabetes, but with the proper treatment it can be very well managed. With the treatment and management of Type 1 Diabetes, there is no reason why a person with the condition cannot live a full, healthy life. At the onset of Type 1, a person may experience any of the following. They do not have to have all symptoms present. However, if you notice any of these signs consult with a doctor immediately. Some Type 1 symptoms can be confused for flu. 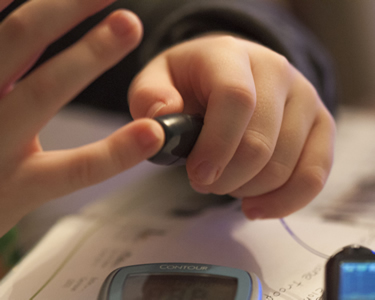 A missed diagnosis of Type 1 diabetes can be very dangerous – even deadly. Complications can go from mild to severe quickly; so do not be afraid to ask your doctor to check to make sure. If you or your child has any of these symptoms, or you suspect they could have Type 1 Diabetes, go to a doctor immediately for a medical exam. Your doctor will perform a test to determine your pancreatic function and confirm a diagnosis. While some of the symptoms of the more common Type 2 Diabetes are similar to those of Type 1 Diabetes, treatment is not the same. People with Type 1 diabetes cannot manage it with pills or diet alone. Only insulin therapy is effective in helping someone with Type 1 Diabetes – either through injections or an insulin pump. A person with Type 1 Diabetes cannot live without insulin. The goal of insulin therapy is to mimic the way the pancreas would produce and distribute its own insulin, if it were able to produce it. Eating healthy and exercise will also help manage blood sugars, but a person with Type 1 Diabetes must have insulin. Ask your doctor or diabetes team about the right combination of insulin, carbohydrates in your diet and exercise for you. Your doctor will also check your A1c, and other diabetes health indicators regularly. However, a diabetic must manage and check their blood sugars several times a day. This includes understanding how different foods and activity affect the body. If not managed, Type 1 diabetes can result in complications. It can affect the major organs in your body including your heart, blood vessels, nerves, eyes and kidneys. Managing blood sugar levels close to normal most of the time can dramatically reduce the risk of many complications. 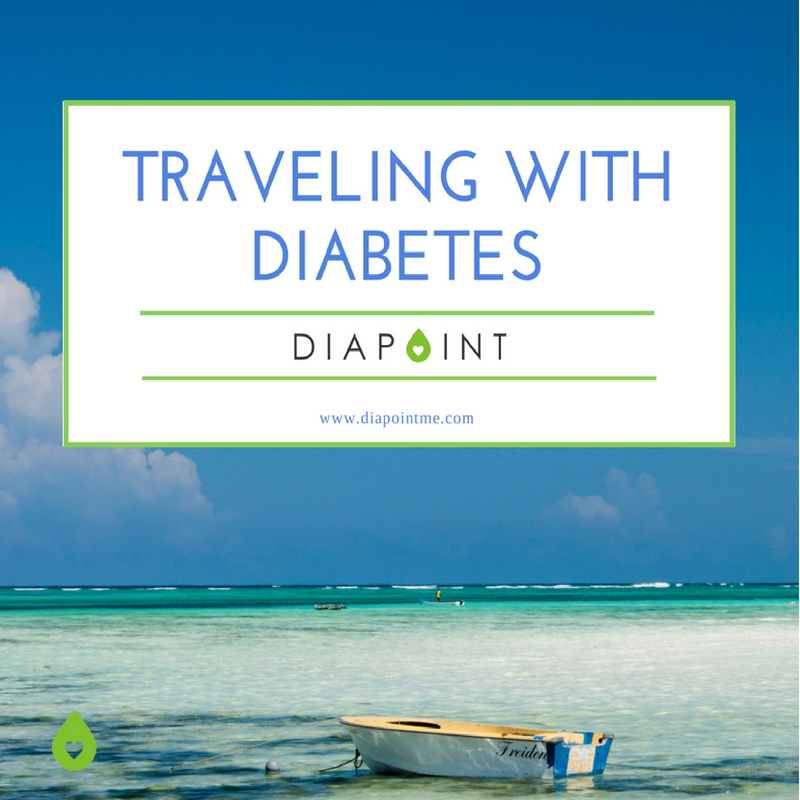 If diabetes is not well managed, complications can become disabling or even life-threatening. Complications can be avoided if blood sugars are managed within the proper range. Work with your doctor and diabetes team to manage your diabetes.